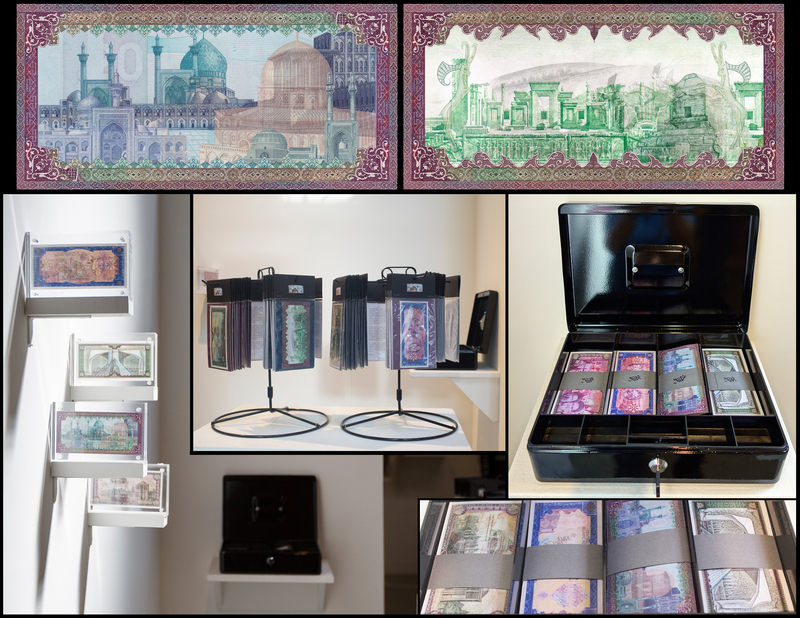 Concurrency Series is an aesthetic analysis investigating the symbolic imagery found in banknotes used by governments to influence and construct national identity. 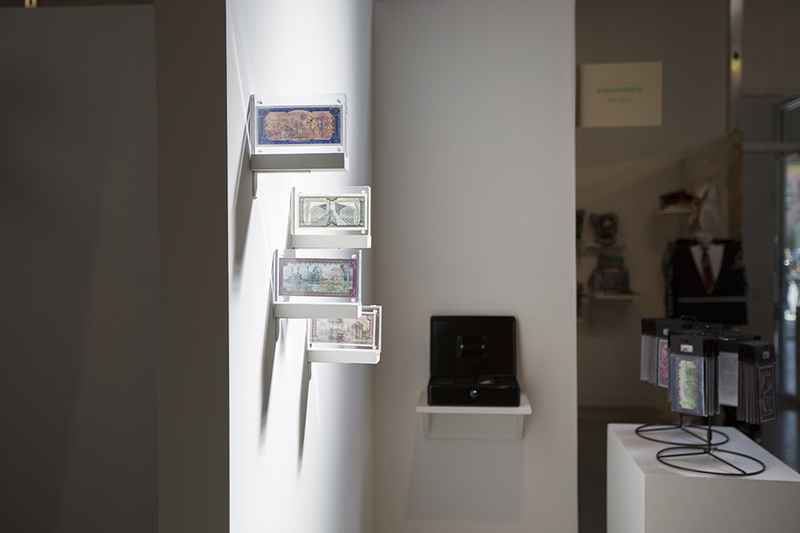 By extracting, altering, and weaving together the cultural icons, historical narratives, and political messages found in a country’s currency, the resulting manufactured banknotes appropriate hegemonic images for subversive ends. 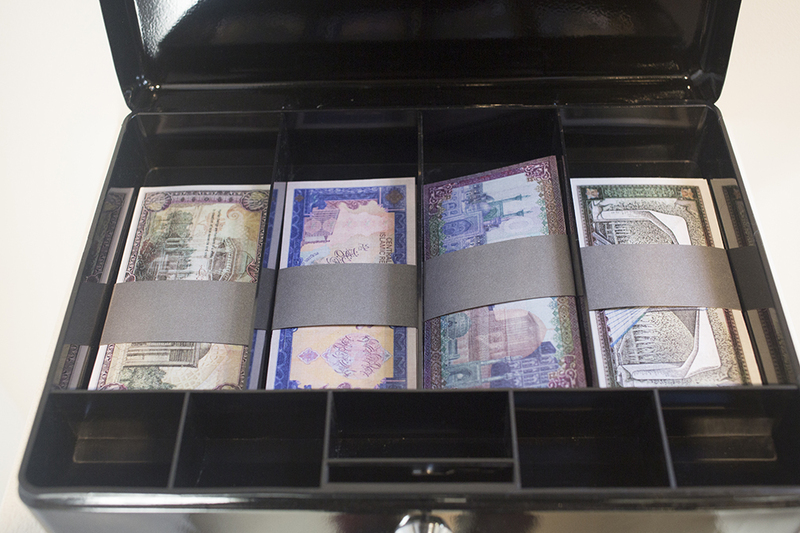 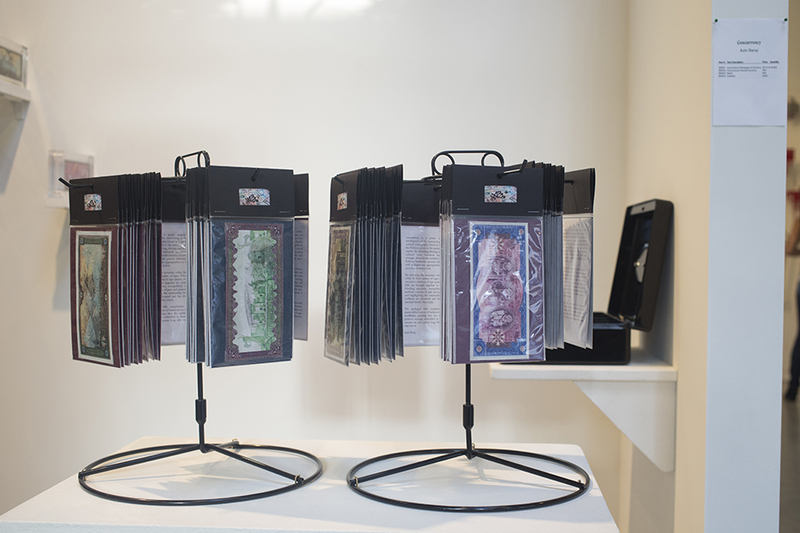 The packaged bills complement the historically commodified nature of banknotes as currency fluctuates worldwide, positing that the symbolic cultural and political message embedded in these pieces of paper sustains its own power long after regimes themselves may lose it.